One of our pro reps, Lee Blanton, recently tied a fly that has proven to be quite popular while he’s been attending fly shows. He’s named it the Clearwater Special. And we quite like the name! :-). The recipe is on the picture (click to expand). He used some of our special JV Hen hackle that we developed and named Hungarian Partridge. It is an awesome substitute of the wild bird, and in many ways superior. The color is not an exact match but is close. The stems are so much easier to tie with compared to the wild Hung Part, and the feather fibers undulate in the water in such a way that they mimic an insect quite closely. Unfortunately (or fortunately, however you look at it) we sold out of all of our Hungarian Partridge skins in less than a week after posting. Won’t have any ready until summer 2014. 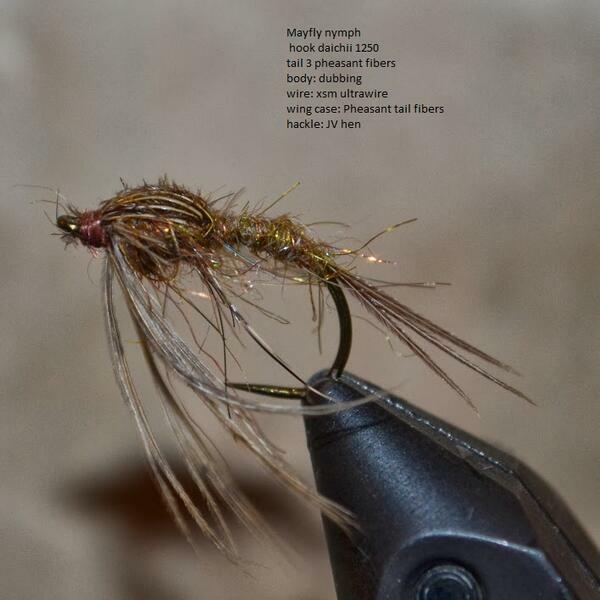 This entry was tagged clearwater hackle, genetic hackle, Hungarian Partridge, mayfly nymph, wet fly. Bookmark the permalink. Congrats! That is a pretty cool fly.